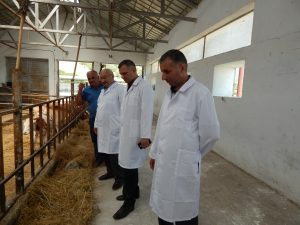 On July 3, Minister of Agriculture of the Republic of Artsakh Zhirayr Mirzoyan, accompanied by Deputy Ministers Vilen Avetisyan and Tigran Tsatryan, and Adviser to the Minister Michael Soghomonyan implemented monitoring on enlargement of orchards’ irrigation systems in the Askeran region. Then he visited Khachen reservoir where the water sector executives and specialists have identified the works to be done in the reservoir system in the near future. Zhirayr Mirzoyan followed the feeding and water supply works at “The Breeding station” CJSC. 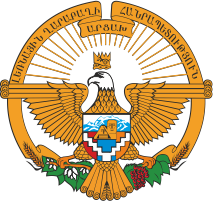 The Minister’s working visit was over in the agricultural lands of Akna and Martakert region, where the harvest is nearing completion.